Two limited scholarships at $175 are available for qualified applicants. 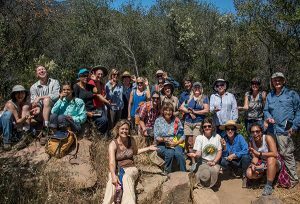 If you enjoy exploring the Ojai Valley, learning about local ecology, engaging in citizen science, and sharing your knowledge with others, this program is for you! 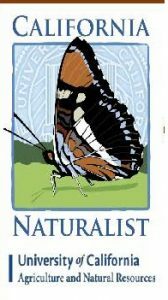 The California Naturalist is a 40-hour that course combines a science curriculum with guest lecturers, field trips and project-based learning to explore the unique ecology and natural history of Ventura County. This course is a combination of classroom work and field training. Evening classes will be held on Fridays from 6–8:30 pm at the Ojai Valley Land Conservancy office. Field training will be held on Saturdays at a variety of locations in the watershed including a number of the OVLC’s preserves. Lead instructor, Don Rodriguez, Ph.D., the former Chair of Environmental Science and Resource Management at California State University Channel Islands. Rodriguez research interests are divided between urban-wildland interface issues, coastal management problems, ecological assessment and monitoring in the US and abroad. The California Naturalist Program certification introduces participants to the wonders of California with a special focus on the Ventura River Watershed’s unique ecology and engages volunteers in the stewardship of our natural communities. The program combines science curriculum, hands-on learning, problem-solving, and community service to instill a deep appreciation and understanding of the natural environment of California. As well as inspire individuals to become guardians of their local resources.